Antonio Giovinazzi says he will not try to replicate Charles Leclerc’s success as a Formula 1 rookie when he makes his full-season debut with Sauber in 2019. Leclerc’s efforts this year paved the way for an immediate graduation to Ferrari and opened the door for Giovinazzi to move into a full-time drive at Sauber. Giovinazzi made two starts for Sauber at the start of 2017, replacing the injured Pascal Wehrlein, and has since worked a test and development driver for the Swiss team and Ferrari. The 2016 GP2 Series runner-up will partner ’07 world champion Kimi Raikkonen in an all-new Sauber line-up, and Giovinazzi said he does not want to make comparisons with Leclerc and has not discussed his own step up to F1 with the Monegasque. “I didn’t speak much to him about this jump, I want to focus on myself,” said Giovinazzi. “I don’t want to repeat Charles’ results this year or improve his results – my target is just to do the best I can on my side. “I will have a different team-mate from Charles [who was partnered with Marcus Ericsson]. 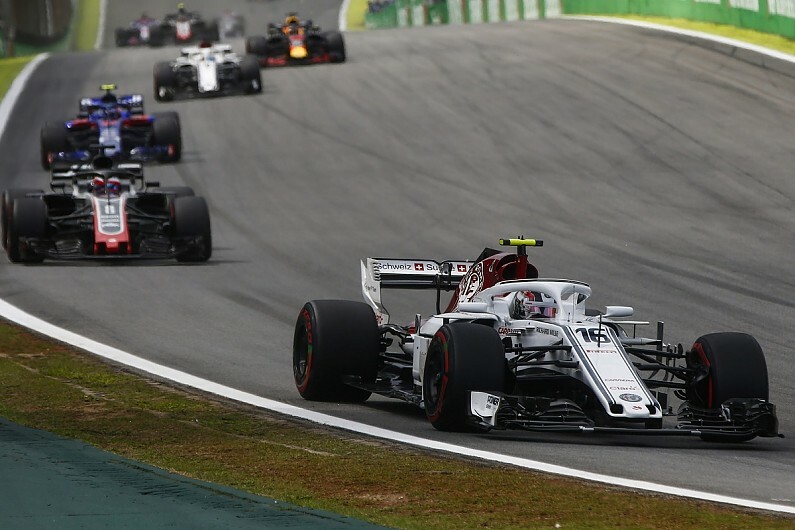 Sauber started the 2018 season at the back of the field with Williams, which meant Leclerc’s F1 career began with a run of early eliminations from qualifying. But its progress to a top-10 team by the end of the season meant Leclerc was gradually able to show his skills more regularly and earn his Ferrari move. Giovinazzi insisted it is not his “priority” to judge himself against what Leclerc did and has played down how much Leclerc can help him by succeeding at Ferrari and proving it is worth gambling on a young driver. “Already, many young drivers show they are fast enough to be in a top team, like [Max] Verstappen, and next year will be Pierre [Gasly joining Verstappen at Red Bull], and Charles,” he said. “It’s good to see a young driver can do a fantastic job in a top team.